Mental & Emotional Health, Naturopathic Medicine? The 30 Day Meditation Challenge Is Out! 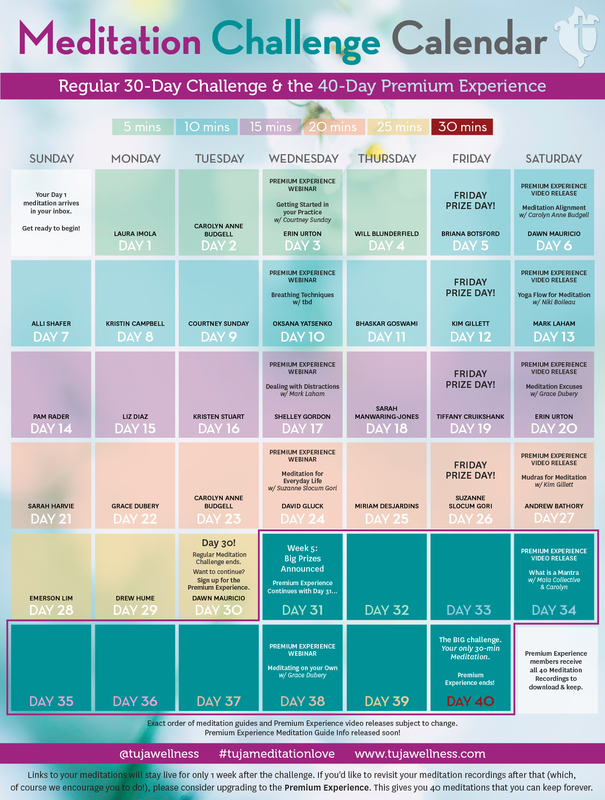 The 30 Day Meditation Challenge calendar is out! I’ll be helping to kick off the challenge by guiding a 5 minute mediation on Day 1! Just 5 minutes of meditation can change your day. See how quick, easy, simple and effective it can be. Sign up here: The 30 Day Meditation Challenge. For those signed up for the Premium Meditation Experience, I will lead a 10 minute meditation and will post the schedule when that comes available! Join me in meditation for February and bring mindfulness, peace and a wellspring of other benefits to during the month.